Anyway, on to the goodie bag! 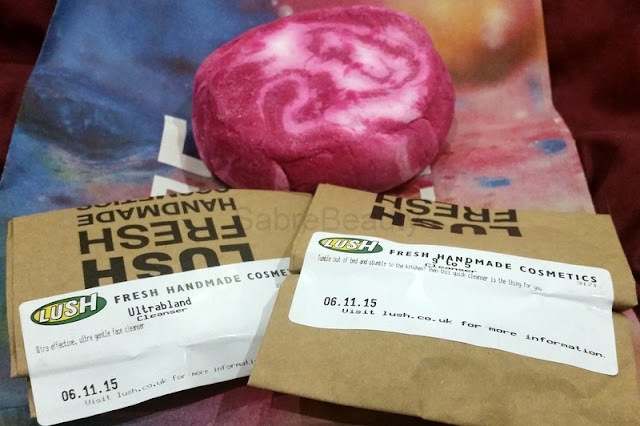 Everyone loves a good sample from Lush, and boy was I made up to find a full size Comforter bubble bar in my goodie bag! I've never gotten around to trying this before, but I have heard so many good reviews, and I am a big fan of a number of their other bubble bars, so I am psyched to try this. I also received a sample of 9 to 5 cleansing lotion (which smells amazing) and Ultrabland facial cleanser. I'll be honest, the Popchips lasted about 30 seconds after noticing that I had them, so I didn't get a photo. I inhaled those bad boys, and they were delicious! At only 94 calories, I think I'll start picking these up with my food shops! I've never heard of MooGoo before, so I did a little research. 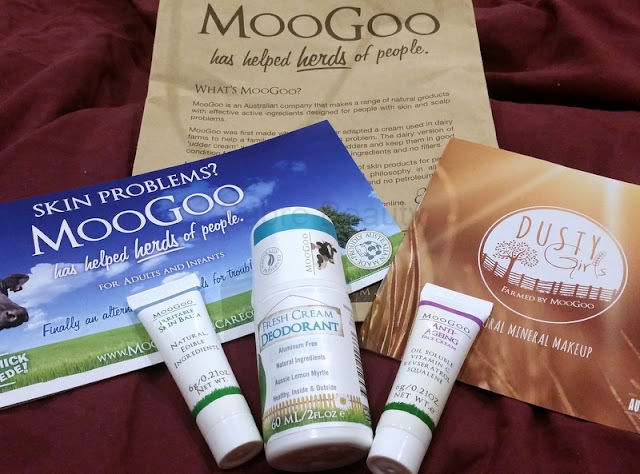 MooGoo is an Australian company, that use natural products to help relieve skin conditions. According to their website, their first product was based on an Udder cream, adapted to be more suitable for application on humans! I got a sample of their Irritable Skin Balm, Anti-Ageing face cream and a full size version of their Fresh Cream Deodorant. The deodorant I've been using for a few days, and I'm a little skeptical. I'm a big girl, working in a big, sweatbox office, so I'm sure you can imagine some days I need as much help as I can get. Most reviews on their website state that although initially it requires more than one application a day, after a few days, they only need very little once a day. It also smells quite lemony, which is definitely not like your usual deodorant, so I'll have to get back to you with my verdict on this one! I have the rescue oil from Derma V10, so I was excited to recognise another brand I like! Derma V10 were amazingly generous, and gave us not one, but FIVE full sized samples! Tinted eye roll on with caffeine (in Light), Moisturising Multi Radiance cream, Rejuvenating Night cream, Vanilla body butter, and a Make-Off mitt! These in themselves are enough for a whole post, so I won't go into too much detail now, but the body butter smells incredible. 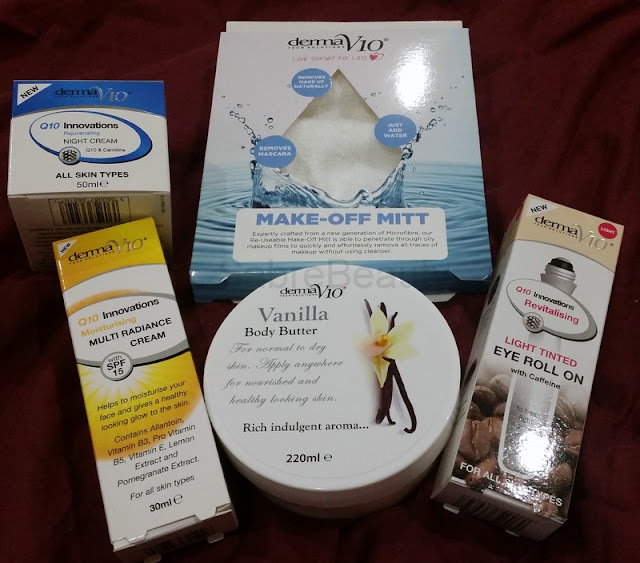 Keep an eye out for my DermaV10 post! 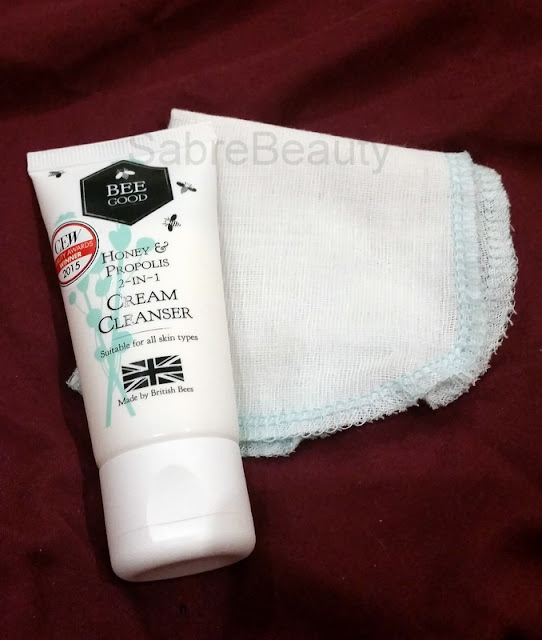 We also received a sample of Bee Good's Honey & Propolis 2-in-1 cream cleanser, and a little baby muslin cloth! 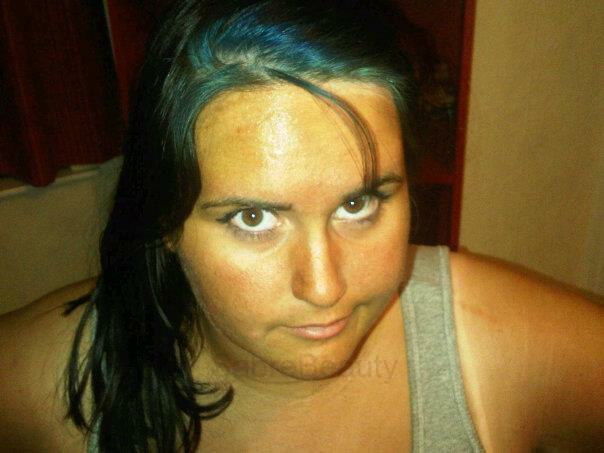 I currently use Liz Earle's Hot Cloth Cleanse and Polish, and it might be good to mix up my skin routine a bit. This cleanser smells gorgeously indulgent, and claims to be "bursting" with honey, so I imagine it to be incredibly moisturising. Because who doesn't love having soft hands? 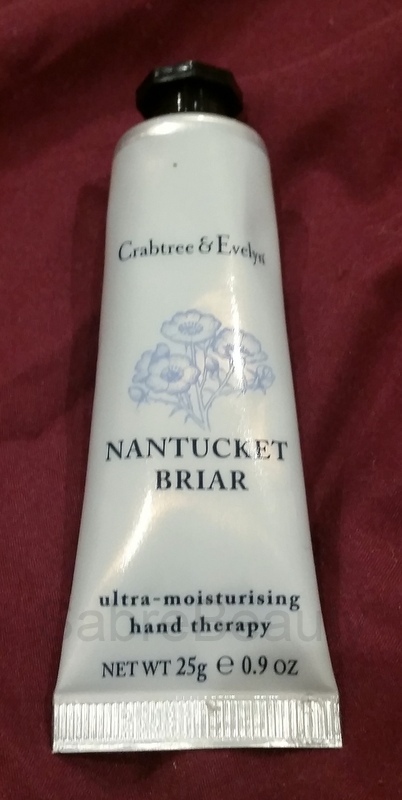 This hand cream smells like talc, and is small enough to keep in your handbag . I don't know about you, but the winter weather is never kind to my skin, so this will be a nice emergency cream. Taking Shape gave us a nice little nail file. I normally keep one in my handbag, and it scratches the hell out of anything else in there, so it was nice to get a little case to keep it in! I also got a loyalty card, which will definitely be put to good use! There were also a number of vouchers in the bag, for HoobyNoo world , Taking Shape and a website called Cheerz for a free set of 9 magnets! I'm badly suffering from the winter blues, so I've ordered a set with a bunch of photos from my recent getaway to Italy to put on my fridge. I'm so very thankful to have been a part of this event, and I just want to say thanks to everyone involved. 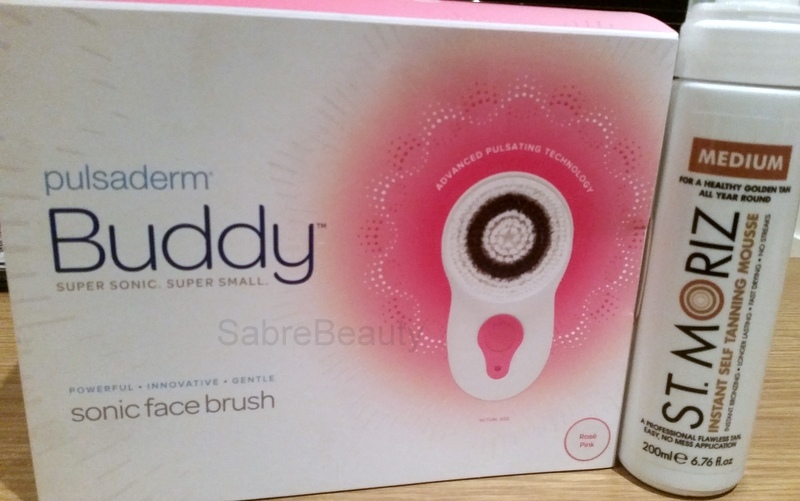 This is a great review of your goodie bag and well done winning the raffle prize, I have a Magnitone one & love it. I've still not had time to open my goodie bag!! I really need to because it looks like there's some nice stuff in it! This really was a great goodybag, Jenny did fantastically well.